At Grange Fencing, we are committed to providing a premium choice of garden structures and fencing. That’s why we employ a highly effective pressure treatment technique to ensure our timber product range is protected against wood rot and decay, making it one of the best performing options on the market. Our pressure treatment technique provides a superior approach to wood preservation, allowing us to provide you with best in class quality. Enabling a unique mixture of preservatives to penetrate far deeper into the wood than in the case of conventional dipped treatments, our pressure treatment system offers enhanced, long-lasting protection against the elements. Unlike our market competitors, we are committed to using the pressure treatment system across our full range of timber products, rather than a select few. Thanks to the long-lasting nature of this advanced treatment, Grange products require minimal maintenance and provide peace of mind for years to come. 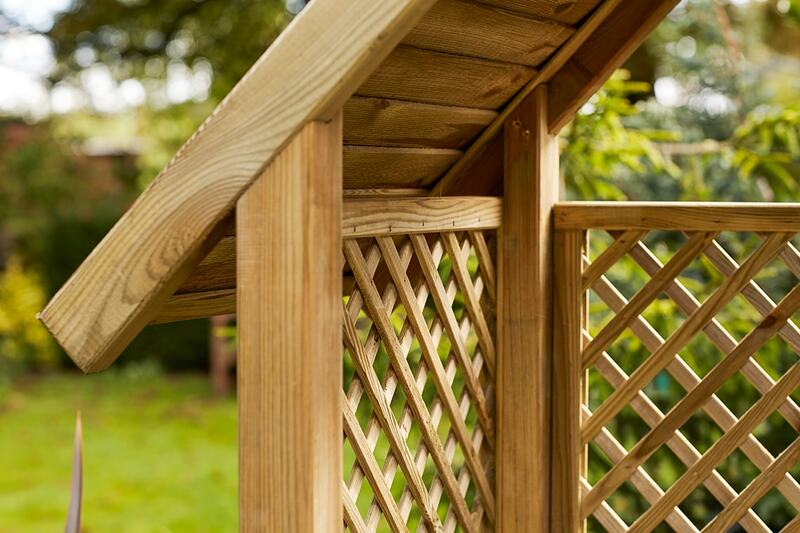 We are now pleased to offer a 20-year guarantee against wood rot and decay across our full range of pressure treated products, offering our customers the highest standard of fencing and garden structures on the market. Click here to find out more about our guarantee.